Rather tired of hearing of great finds. At the Police Court the Italian miner James Rodgers is charged with obstructing a surveyor. Rodgers says he is a foreigner and does not understand the matter. Commissioner Mackay says the Court is of the opinion that what was done had been through ignorance but it could not pass over without inflicting a penalty. Rodgers is fined £5 and costs. He pays and he and his mates leave the court. A few feet of ground are of no consequence but they also might mean the gain or loss of a fortune. The prospecting party are again at a standstill for want of timber. The remainder of the slabbing stuff is on board the Tay but no vessel can get in to the Thames with the wind and the Kauaeranga creek is quite bare of shipping. At Auckland the process of hand crushing the 14 bags of stone from the Shotover continues but it is not likely the whole will be crushed before tonight. It is lamentable that machinery for crushing is not at once taken to the Thames. Thomas Seon, master of the Enterprise, writes to the Daily Southern Cross contradicting the report of the master of the Severn – the Enterprise was not run on shore “and I hope never will be while I am in charge” – but was laid on the bank so he might be able to look at her bottom after he decided not to leave the Thames until Monday. Catherine for the Thames with 20,000 bricks and 12 passengers. Diamond for the Thames with stores and 10 passengers. Severn for the Thames with 10,000ft timber, 2 tons stores, 12 passengers. 11pm There is a rush to a new reef a mile and a half up the Waiotahi Creek. The stone is reported to be good. Shortland Town is utterly dull. The reports from the Thames goldfield are very conflicting. It is said that lumps of rich quartz have been found, but no great quantity of gold has reached Auckland. The analysis of gold found shows it to be of inferior quality. There is no alluvial gold discovered yet. Some Coromandel miners return home from the Thames goldfields with disappointed looks. They say they would much rather remain in Coromandel and trust what may turn up, rather than risk what little they posses in the Kauaeranga district. 10am Strong winds detain vessels at Auckland harbour but the Enterprise leaves for the Thames with 35 passengers, merchandise and one horse. The Severn also leaves but it is feared they will have to run for Waiheke owing to the heavy sea and adverse winds making it almost impossible to cross the firth. About 27dwt of water-worn specimens are brought to Shortland Town from Mr Mulligan’s claim on the Waiotahi creek. Some call the gold alluvial but it is not shotty or nuggetty. The two shafts at Karaka are progressing steadily. The Shotover, Barry's and Tookey’s are the three claims with the best show at present. An old experienced Coromandel digger, named Kennedy, has brought in to Tookey’s claim and speaks very highly of it. Tookey’s is considered a truly wonderful claim, both in it and the Shotover the owners have tons upon tons of quartz above the level of the surface, requiring little more than to be knocked down and carried to machines. The arrangements for blasting powder at the Thames are still difficult. The powder is lodged in the Court House whare and is only dealt out in small quantities. With several of the claims miles away, it is hard for the men to have to come in for a small quantity just as they may happen to want it. Tools suitable for sinking and driving, such as gads, drills, and hammers are also scarce. There are now about 500 men on the ground. William Downes, master of the Severn, writes to the NZ Herald that he did not report to the Daily Southern Cross reporter that the Enterprise had run ashore. The report must have originated from some other quarter, he huffs. Shortland Town is utterly dull. The reef fever is so seductive that the runner for the Daily Southern Cross correspondent literally does just that and leaves him to take up a claim. At Auckland the Airedale, a mail steamer, brings about 40 miners for the Thames, from Australia, many of them experienced quartz reefers from Melbourne. Miners of this class offer the Thames the best opportunities. The highly anticipated crushing of the 6cwt stone from the Shotover reef is finished today and the weight of the amalgam is just 145oz. Masefield and Co will not have the retort, which they are finishing, until sometime later today when the actual return of pure gold will be known. The 145 ounces of amalgam from the Shotover is retorted and smelted into two bars by Mr Beck, jeweller, Queen Street. The amount of gold obtained is 58ozs 4dwts, which together with the 10ozs 12dwts obtained by Mr Beck previously from a portion of this stone, makes the total 68ozs 16dwts from 6cwt of quartz. The result of this crushing stamps the value of this reef. William Hunt says a large amount of trouble and some little expense has been willingly borne by himself for the sake of making fully known and as quickly as possible, the value of the Thames goldfield. The energy and public spirit of Mr Beck for the settlement of this question – the value of the Shotover – is widely praised. The gold bars are exhibited in the shop window of Mr Beck around which large crowds gather. Rangatira for the Thames with 10 passengers. Sydney for the Thames with passengers. Cornstalk for the Thames with passengers. Alabama for Kopu in ballast. The Reverend Thomas Grace officiates at the Digger’s camp whare. There is a very good congregation. 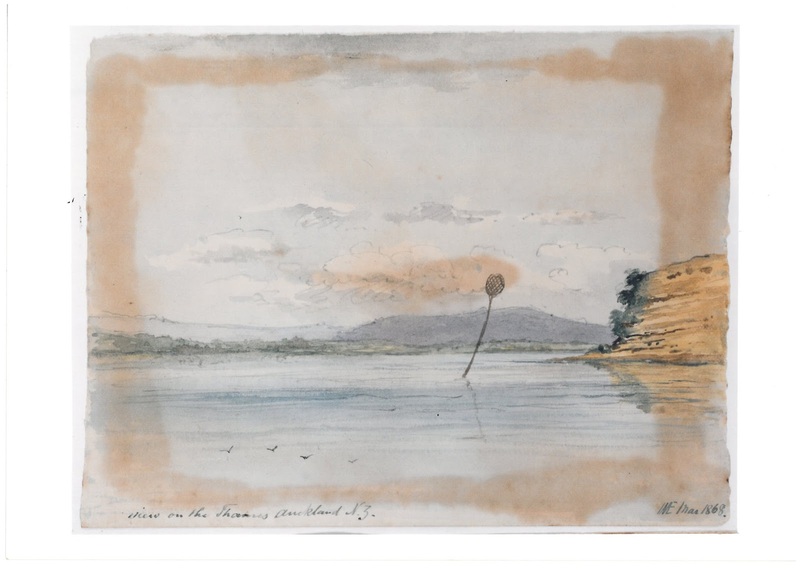 The Severn brings up to Auckland 1 ½ cwt of rich quartz, the product of the newly opened ground on the Waiotahi, which will be at once crushed and smelted. A passenger also brings 50lb of quartz equally rich from another claim on the Karaka. A nugget discovered at Mr Mulligan’s claim is found to weigh 13dwt. The gold is of a much richer quality and contains far less silver than that yielded from other claims. At Tauranga the cry of “no work” goes up increasingly and numbers of men, despairing of earning subsistence there, leave by every opportunity for the Thames. Meanwhile at Hamilton several settlers return in disgust from the Thames goldfield. Several Coromandel miners also leave. One goes in dinghy taking back a swag of heavy tools. So anxious is he not to be away longer than necessary that he pulls all the way, a distance of about 36 miles, in less than 24 hours. At Shortland twenty six miner’s rights are taken out – the greatest number yet in one day, making a total of 276. Parties of men are scattered the whole way up on the run along to Point Tararu. The Maori of the Upper Thames begin removing the remains of their dead buried in the country lying between Shortland and Ohinemuri. It is thought the reason is that they are contemplating opening more land to the miners. Rich reefs stretch from Coromandel up the Thames to Lake Rotorua. The very nature of the country, broken as so much of it is, renders it a paradise for reefers. The mountain creeks, the gorges and the broken hills do the work of the prospector. Here, there and everywhere these reefs crop out of the broken ground and once found can be traced for miles. Miners who are coming from the South are bringing letters of credit from the banks. One returns to Auckland today from the Thames and draws out a considerable sum, stating that he is perfectly satisfied with the goldfields and is about to buy into a quartz claim. Noon The Enterprise leaves Auckland for the Thames with a general cargo and 50 passengers including William Hunt and the Berdan machine for the Shotover reef. It will be set up on the claim and kept constantly at work day and night. There are two applications in for publican’s licences at Shortland Town. Inhabitants are called upon to pay the £5 license payable under the Goldfields Act, which is resented as business frontages already pay a yearly rental to the Maori owners. A large business can afford to pay but a poor man working at his trade of a shoemaker cannot afford this. Henry for the Thames - with a cargo of hay, 1 horse, 2 head of cattle and 6 diggers. Severn for the Thames with 3,000ft timber, 1 ton stores and 12 passengers. The weather has improved and is somewhat finer. The coming spring weather is expected to bring in a large number of men. There is another and another rush. Gold is beginning to come in in small quantities for sale. The lead has been run out on the Jumper’s Reef (Coombes and Townley) but there is no question that these miners have jumped one amongst the very best reef claims on the field. The Shotover Berdan arrives, as does Samuel Alexander, which raises eyebrows - a couple of weeks ago he was declaring everyone and everything duffers. Another four tons of quartz from Tookey’s reef is put on board a vessel for Coromandel for crushing at John Goodall’s machine. The resources of the Thames are becoming more attractive to the business community of Auckland. The Enterprise is now regularly landing passengers. The miners who were determined to give the Karaka field a trial have either settled down to steady work sluicing the creeks, or have got upon ground discovering quartz which promises large returns. Barry and Hayes claim to the east of the Shotover is daily yielding golden quartz. Tookey is stripping the face of the spur of the hill on his ground and is working the leader down. On the Waiotahi the quartz claim above Mulligan’s sluicing claim is proving to be a rival to the older claims on the Kuranui. On the Hape Creek there are two claims doing well overseen by Mr Murphy from Coromandel. Surface claims are worked with merely manual labour but to penetrate the hillside and sink for a leader the money of the capitalist and the skilled labour of the miner is needed. The sluicing claims on the Karaka, Moanataiari and Kuranui creeks are paying wages. One hundred and fifty claims have now been marked out on the Waiotahi. 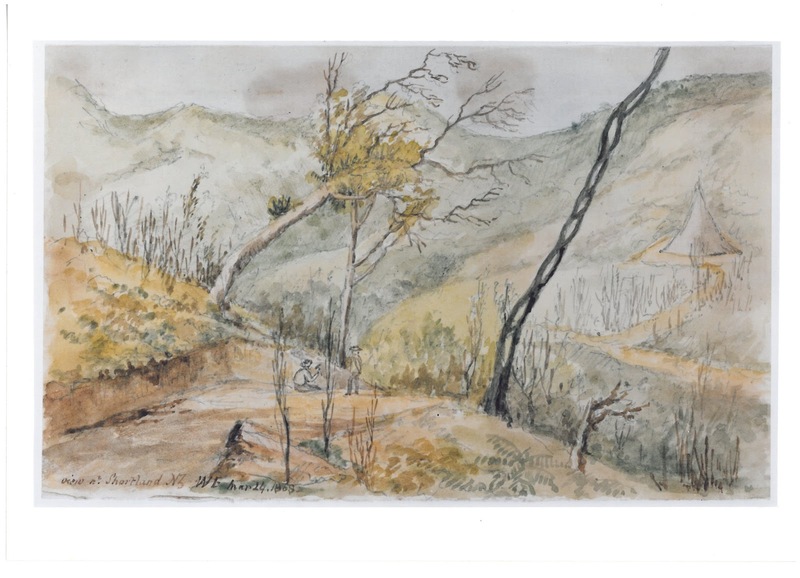 Captain Hutton, the geologist who has been examining the country of the Thames goldfields, is satisfied that the whole district is of the same reefy character, extending to Coromandel in one direction and to the southern portion of the Thames goldfield in the other. Although there is grumbling that alluvial deposits have not been discovered it is suggested that all gold detached from the quartz and deposited between the tertiary formation and the surface of the crust of the earth becomes alluvial. In the Thames, volcanic disturbance is of a recent date and as yet gold has only been taken out from the surface, comparatively speaking. A piece of conglomerate quartz highly impregnated with gold is picked up on the beach near the Kuranui below the high water mark by Mr Barnett, restaurant keeper. Afternoon The Enterprise steams into Auckland bringing 20 diggers who have come up requiring tools. The news from the Thames is cheering. Reefs and leaders are being discovered daily and there are evidently claims sufficient to support a couple of thousand men. Some difficulty in finding a crew has been experienced by Captain Hedley of the ship Ironside in consequence of the favourable news received from the Thames goldfields. The number has now been made up but not without an advance in recent rates. The Ironside is expected to leave the harbour shortly for London with a full valuable cargo and several passengers. Commissioner Mackay writes his report for John Williamson, Superintendent of Auckland. The value of the reef claims has been confirmed and several new discoveries made. The only drawback to the successful working of these is the absence of machinery for crushing the quartz. The leader struck at the Shotover has proved to be very rich. In Matthew Barry’s claim the gold bearing quartz is between three and four feet in width and the gold is found in the solid stone and not in the casing as the Shotover claim. A considerable quantity of quartz has been procured from the valuable reef claim held by Daniel Tookey. 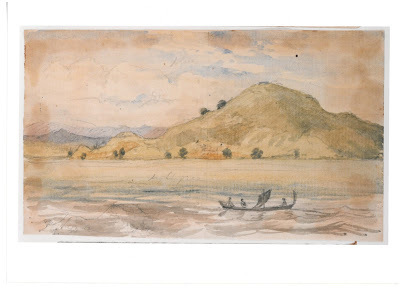 The party of 24 men who are deep sinking on the Karaka Flat appear satisfied with the character of the ground shown. Mr Mulligan’s claim on the Waiotahi stream shows the best alluvial gold yet found. The mining population now numbers about 500 and there are about 100 other persons engaged in various ways in supplying the wants of the miners. Up to last evening 277 miner’s rights had been issued, being an increase of 148 since his report of 31 August. His opinion of the field at present available or open for gold mining is that from the nature of the ground there will be much more quartz mining than alluvial working. Mackay feels it is very undesirable that anything like a large population should be induced to the Thames goldfield at present, as no alluvial digging of any consequence has been discovered and the mining of the quartz reefs can only be undertaken by persons having the command of a certain amount of capital. He hopes that when all the lands negotiated for with the Maori are thrown open for mining, he will be able to report the finding of alluvial deposit, which will then afford remunerative employment for all classes of miners. Harvest Home for the Thames with passengers, 2,000ft sawn timber and one ton coals. Tay for the Thames with stores. Diamond for the Thames with passengers. Young Messenger discovers a run of quartz bearing gold and comes into town where he mentions it at the Shortland Hotel. During the night, a few practical men, who know how to take advantage of the information, start away and get Messengers ground, he having neglected to peg out a claim. Another claim is lost by not putting in the corner pegs.